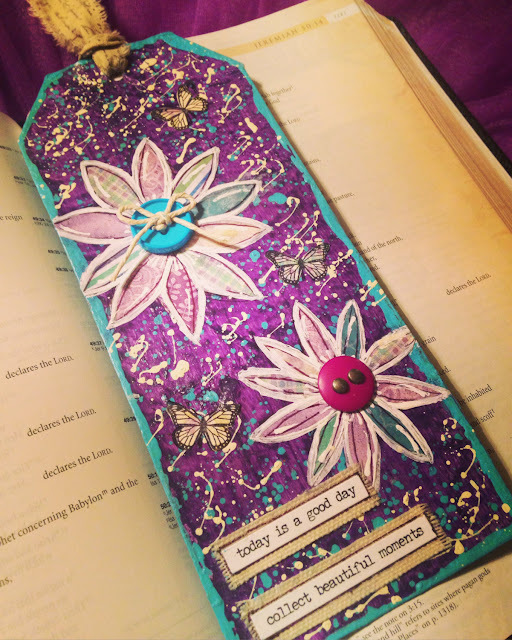 #BookmarkMonday (259): Collecting bookmarks ... and moments! A little piece of handmade art by TagitartStore* -- the many layers and attention to detail of this store's offerings make me happy. I also agree with that today is a good day. Now go make some beautiful moments! Any beautiful moments lately? Do share!